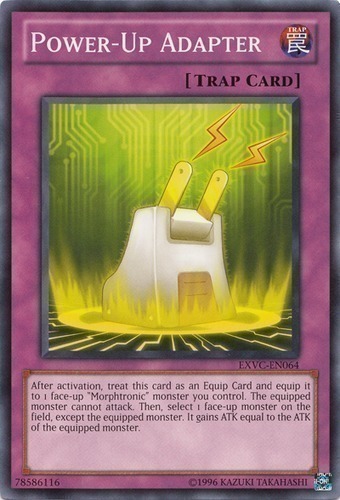 After activation, treat this card as an Equip Card and equip it to 1 face-up "Morphtronic" monster you control. The equipped monster cannot attack. Then, select 1 face-up monster on the field, except the equipped monster. It gains ATK equal to the ATK of the equipped monster.